Expository preaching is much more than a type of sermon or style of preaching. In its truest sense, it is a methodology resulting from a theology. In other words, expository preaching is the direct result of our high view of Scripture. Because the Bible is the Word of God—inerrant, infallible and inspired—we must commit ourselves to the method of preaching that most honors God's revelation in Holy Scripture. Expository preaching by definition takes seriously the context and the content of God's revelation. It is saying what God says in the Bible, echoing the text of Scripture, or as J.I. Packer says, "Letting texts talk." 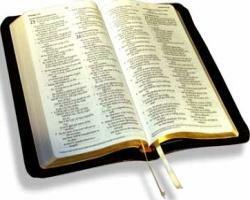 The burning question on the heart of every expositor of the Word of God is: "How do I best get this text to talk?" Before we look at the method of expository preaching, we first must consider what we are aiming for in terms of our preaching. For example, is the aim of expository preaching simply the exchange of information about the Bible? Is the aim of expository preaching to fill the mind with doctrine apart from life-application? I believe the aim of all preaching is the glory of God through spiritual transformation. More specifically, the goal of a Spirit-empowered, expository ministry of the Word of God is to change lives through preaching that engages the mind, inflames the heart, moves the will and engenders faith in the hearer. The expositor's authority and confidence rests in the sufficiency and power of the Word of God to impact the mind, heart, will and faith of listeners (see Matt. 7:26; Luke 24:27-32; Acts 2:37; Acts 8:30-35; Rom. 10:17; 2 Tim. 3:16). With transformation as the goal of our preaching, what process can lead me to preach faithful and engaging expository sermons? The words of the psalmist should be the beginning of any discussion of a process of exposition: "Open my eyes that I may see wonderful things in Your law" (Ps. 119:18). Jesus said in John 16:13, "But when He, the Spirit of truth comes, He will guide you into all truth." As expositors, we must begin our work in a state of absolute dependence upon the Spirit of God. This is the dynamic element of preaching, where we submit to the authority of God's Word and prepare our hearts and minds to receive the Spirit's illumination of the Scriptures. Through prayer and confession, we are surrendering ourselves to God and pleading for His Spirit to fill us and guide us into all truth. We confess our inadequacy and cry out to God for His help, His wisdom and His power. Once we have prepared our hearts spiritually to receive the Word, we must begin by identifying a portion of Scripture that will serve as our textual unit for our sermon. Preaching systematically and sequentially through a book of the Bible is advantageous for two reasons: 1) the next textual unit to be covered flows from and builds upon the previous text; and 2) the expositor stays within the flow and development of the biblical writer's thought. Expounding a textual unit often is referred to as paragraph preaching in which the author of Scripture communicates a complete thought unit or textual idea. Textual markers are key words such as therefore, since, because and for, as well as changes in subject matter, verb tenses, audience, time, scenes or characters. Textual markers provide the clues to identifying complete units. Once text selection is complete, we must be careful not to reach for our favorite commentary! At this stage of preparation, get alone with God and just read and reread the text, including the immediate context and the entire book several times. Soak in the Scripture. Seek to identify the overall theme of the book, the flow of the writer's argument, key sections or divisions and repeated phrases and words. Most important, allow the text speak to your own heart with the intention of James 1:22: "But be doers of the Word and not hearers only, deceiving yourselves." Through prayer, submit to the truths the Holy Spirit illumines to your heart. This phase of preparation is the key to incarnational preaching, or as Phillips Brooks said, "Truth coming through personality." Don't rush this process! God's truth is not microwaveable. We must let Scripture simmer in the slow cooker of our hearts if we are ever going to preach out of the overflow of the Spirit's work in our own lives. Expository preaching takes very seriously the context in which a textual unit is found. This is the fly-over view, the panoramic picture, in which we look for the larger context of a book through historical, literary, rhetorical and theological analysis. First, we look at what immediately precedes and what immediately follows our textual unit. For example, in dealing with Mark 10:17-31 and the rich young ruler coming to Jesus, the careful expositor observes that immediately preceding the account of the rich young ruler is the account of the people bringing little children to Jesus. The rich young ruler brings himself to Jesus on his own terms, a picture of complete independence, while the children must be brought by someone else, a picture of absolute dependence. The kingdom of God belongs to "such as these" because the children in their dependence must be held by Jesus (Mark 10:16); the rich young ruler walks away because his heart already is being held by his riches. This exchange between Jesus and the rich young ruler ultimately results in the disciples asking the same question the rich young ruler did: "Who then can be saved?" (Mark 10:26). Jesus answered by referring to the impossibility of man to save himself, but that "all things are possible with God" (Mark 10:27). How does God make this possible? The answer comes from the surrounding context. Verses 32-34 of chapter 10 point us to the cross, where the impossibility of sinful man's salvation was made possible through the death, burial and resurrection of Jesus. Another reason expositors take very seriously the context of Scripture is because context keeps us from making interpretive mistakes. For example, Paul's statement in Philippians 4:13, "I can do all things through Christ who strengthens me," can be taken out of context to attempt to prove a superman mentality in the line of the power of positive thinking. In context, this passage teaches us that the overall framework of 4:10-23 is not superhuman ability, but spiritual satisfaction—contentment—regardless of circumstances! The careful expositor notes the context, specifically Paul's repeated emphasis on having learned contentment. Clearly, this was no instantaneous name-it-and-claim-it mentality, but the process of mature discipleship. Once the survey work is complete, it is time to dig into the text with the zoom lens of exegetical research. This is where the spade work of grammatical analysis, word studies and interpretation takes place. We are breaking the text down into its smallest segments, studying phrase by phrase and word by word. This phase is also where we are using original language tools and exegetical commentaries to help us better understand what the text is saying. Make textual observations, ask questions of the text and note any significant details that might help you to better understand your text and more effectively communicate your text. For expository preaching, the text does not merely serve to suggest the subject or topic of our sermons. The structure of the text determines the structure of the sermon. We must scan the text, looking for its divisions and subdivisions, identifying major clauses, dependent clauses and literary features such as chiastic structure so that our sermons reflect the flow, the argument and the style of the writer. As careful expositors, we want to say what the text writer said, but we also want to say it how the text writer said it. To say the text's structure does not matter is to say the Spirit haphazardly put Scripture together! For example, Matthew 28:19-20, the Great Commission, contains one imperative command and three participles that are aspects of fulfilling the command. A sermon with four main points misses the structure of the text—better to have one main point based on the imperative, with three subpoints of the one main point in order to be more faithful to the structure of the text. This very well could be the step in expository preaching that creates the most controversy and confusion. I explain it to my students this way as they preach through Philippians: After you finish preaching on your passage, imagine sitting down beside the apostle Paul. He puts his arm on your shoulder, leans over, and whispers one of two things in your ear: 1)"You said exactly what I meant to say in my letter—you nailed it! "; or 2)"What you just said had nothing to do with what I wrote to the church at Philippi. What in the world were you thinking?" For example, a sermon on the true nature of worship from John 4 on the woman at the well completely ignores authorial intent, which John gives us in 20:31: "But these are written that you may believe that Jesus is the Christ, the Son of God, and that by believing you may have life in his name." In John 4, John showed us Jesus as the Living Water who completely satisfies the deepest thirst of the human soul. In fact, a careful study of the flow of chapter 4 reveals the subject of worship is a diversion, a smokescreen! Remember, a text cannot have more than one intended meaning, although it may have many applications. The exchange of worship may yield some contemporary applications for a discussion on modern worship, yet to say John wrote chapter 4 to teach us about worship is unfaithful to authorial intent. Hence, stick to authorial intent! Based on the exegetical phases presented above, in one clear sentence explain: 1) what the author is talking about; and 2) what the author is saying about what he is talking about. For example, in Ephesians 2:1-10, Paul wrote about our salvation and described it in three ways: what we used to be, what we are now and what we will be (past, present, future). We now need to contemporize the statement and make it present tense: "We are going to look at our glorious salvation by examining who we were before Christ, who we are presently in Christ, and who we will one day be when we are with Christ." For expository preaching to be expository, the central proposition of the sermon must match the central proposition of the text! This is the heart of sermon development, where the central proposition of the sermon is developed through the unfolding of the biblical text. The natural divisions of the text (in the Ephesians citation above, we are following time divisions) become the sermon's division statements, with each division supporting the central proposition of the sermon. The supporting material for the sermon consists primarily of explanation of the biblical text, as well as illustrations of the truth or principle being taught. Explanation involves the fruit of our word studies, the significance of a particular verb tense or mood, on perhaps word usage in other parts of the book or Bible. Cross references help clarify the meaning, as well as keep us in the overall context of biblical theology. Illustrations must fit the text and context, and never should override the significance of the text! The illustration must shed light on the truth being preached and anchor the truth in the mind through the image or picture presented. Illustrations should be concrete, emotive and fit the text you are preaching. Expository preaching often gets a bad reputation because it stays in the biblical world and never enters the contemporary culture. Yet the most engaging expository preaching always will move the listener into the world of application. The Word of God is relevant. We do not have to make it relevant as some today would say! In this phase, we are seeking to pin biblical truth to the hearts of our listeners in conjunction with the Holy Spirit's conviction. Whether you hold your application to the end of your sermon or apply the sermon after each division statement, the point is that you specifically show what kind of a difference this sermon's truth will make in the lives of listeners if they obey it and live it out in their marriages, families, churches, workplaces, cities and world. Jesus Christ is the grand theme of the Bible. Jesus says to the Pharisees in John 5:39, "These are the Scriptures that testify about Me." On the road to Emmaus, Jesus explained to the disciples His death and resurrection: "And beginning with Moses and all the prophets, He explained to them what was said in all the Scriptures concerning Himself " (Luke 24:27). Expositional preaching is Christological preaching because the Spirit of God testifies to the Son of God through the Word of God. At some point in the sermon, the expositor of Scripture must ask, "How does this text testify to the Person and work of Jesus Christ?" Then, by bringing a healthy biblical theology to bear upon a given text, the expositor can show the beauty of God's redemptive plan unfolding throughout the Word of God, culminating in Jesus Christ. The introduction is saved until the end of our sermon preparation so we know what we will be introducing. The introduction should get our audience's attention and answer: "Why should I bother listening to this today?" One approach is to use a moving story right out of the news media. For example, once when I preached on the subject of worry from the Sermon on the Mount, I introduced the subject by holding up a recent newspaper and pointing out the headlines: Will there be another 9/11? Will gas prices continue to increase? How will we prepare for another Hurricane Katrina? Will Social Security be available when I retire? These are questions people in the mainstream are asking, but what does the Bible say about them? A good model for introductions is to start with the contemporary world and move into the biblical world to show how the Bible answers such issues or questions. If the Word of God is living and active, our response should be living and active. Many preachers fail to call people to respond specifically to the message, instead settling for a quick review or summary of their main points. Sadly, the conclusion is often the least-planned aspect of the sermon. Yet we as preachers wonder why there is so little response to our messages. Specific appeals get specific responses, while also allowing the Holy Spirit to apply our message in a unique way that only He, in His omniscience, is able to do. I was amazed as a pastor how many times I tightened my conclusion from vague abstractions ("Everybody serve God.") to specifics ("We need four people to distribute meals to shut-ins on Thursday night this week. "), and saw God's people rise to the occasion. Don't be afraid to challenge your listeners. Set the bar high, and finish your sermon strong! Expository preaching is evangelistic preaching because the heart of the Bible is the gospel, God's saving grace. Give people the opportunity to respond to the life-transforming truth they heard you preach. Pray God would add to the kingdom every time you preach! Lives are at stake. Souls are in the balance, and you are charged with giving them the words of eternal life.